"Wine Spectator" has rated the wine "Caparzo Sangiovese Toscana IGT, Tuscany, Italy" the vintage 2012 on 28.02.2014 with 87 of 100 points. "Wine Spectator" has rated the wine "Caparzo Sangiovese Toscana IGT, Tuscany, Italy" the vintage 2011 on 31.08.2013 with 85 of 100 points. "Wine Spectator" has rated the wine "Caparzo Sangiovese Toscana IGT, Tuscany, Italy" the vintage 2010 on 31.10.2012 with 88 of 100 points. "Wine Spectator" has rated the wine "Caparzo Sangiovese Toscana IGT, Tuscany, Italy" the vintage 2005 on 31.08.2007 with 81 of 100 points. "Wine Spectator" has rated the wine "Caparzo Sangiovese Toscana IGT, Tuscany, Italy" the vintage 2003 on 31.10.2005 with 81 of 100 points. "Wine Enthusiast" has rated the wine "Caparzo Sangiovese Toscana IGT, Tuscany, Italy" the vintage 2002 on 03.01.2005 with 83 of 100 points. "Wine Spectator" has rated the wine "Caparzo Sangiovese Toscana IGT, Tuscany, Italy" the vintage 2002 on 15.10.2003 with 80 of 100 points. "Wine Spectator" has rated the wine "Caparzo Sangiovese Toscana IGT, Tuscany, Italy" the vintage 2000 on 31.08.2002 with 80 of 100 points. "Wine Spectator" has rated the wine "Caparzo Sangiovese Toscana IGT, Tuscany, Italy" the vintage 1999 on 30.09.2001 with 79 of 100 points. 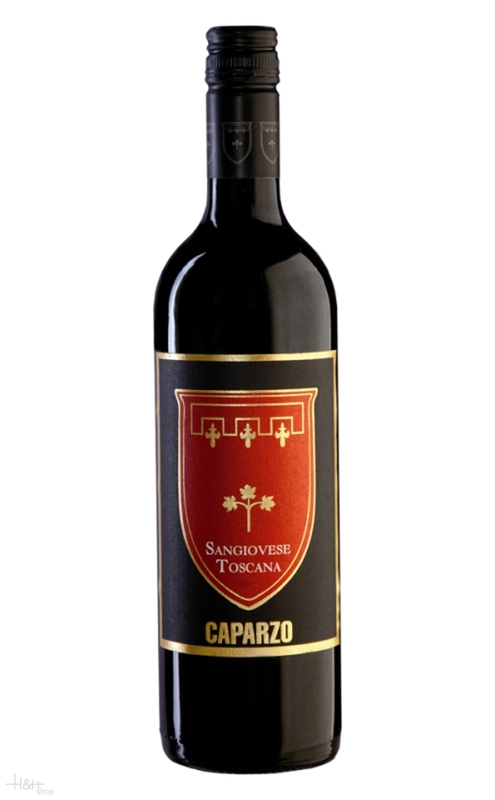 "CellarTracker" has rated the wine "Caparzo Sangiovese Toscana IGT, Tuscany, Italy" the vintage 2009 with 89 of 100 points. "CellarTracker" has rated the wine "Caparzo Sangiovese Toscana IGT, Tuscany, Italy" the vintage 2010 with 87 of 100 points. "CellarTracker" has rated the wine "Caparzo Sangiovese Toscana IGT, Tuscany, Italy" the vintage 2011 with 87 of 100 points. "CellarTracker" has rated the wine "Caparzo Sangiovese Toscana IGT, Tuscany, Italy" the vintage 2012 with 87 of 100 points. "Wine Enthusiast" has rated the wine "Caparzo Sangiovese Toscana IGT, Tuscany, Italy" the vintage 2010 with 87 of 100 points. "CellarTracker" has rated the wine "Caparzo Sangiovese Toscana IGT, Tuscany, Italy" the vintage 2014 with 86 of 100 points. "Wine Enthusiast" has rated the wine "Caparzo Sangiovese Toscana IGT, Tuscany, Italy" the vintage 2000 with 86 of 100 points. "CellarTracker" has rated the wine "Caparzo Sangiovese Toscana IGT, Tuscany, Italy" the vintage 2007 with 85 of 100 points. "CellarTracker" has rated the wine "Caparzo Sangiovese Toscana IGT, Tuscany, Italy" the vintage 2013 with 85 of 100 points. "CellarTracker" has rated the wine "Caparzo Sangiovese Toscana IGT, Tuscany, Italy" the vintage 2005 with 85 of 100 points. "CellarTracker" has rated the wine "Caparzo Sangiovese Toscana IGT, Tuscany, Italy" the vintage 2008 with 83 of 100 points. this Nebbiolo comes Nebbiolo grapes for Barolo, generally the youngest ones. The perfect structure with typical perfumes of the Barolo Bricco Boschis with inklings principally fruity then floral then spiced, open and intense. The perfect potential for the ageing.